Posted byAtulHost	 24th Jan, 2019 24th Jan, 2019 Leave a comment on Do You Really Need More Than 8GB of RAM? Are you a PC gamer or a professional content creator looking to buy/build a new gaming or workstation PC? Perhaps you want to upgrade your existing one? Whatever it is you’re doing, you want to make sure your system is strong enough for all the games you want to play or editing projects you’ll be working on. But do you really need more than 8GB of RAM in 2019? RAM or Random Access Memory is a computer hardware that’s essential for both gamers and content creators. And I’ll tell you exactly how much RAM you’ll need for both. But first, let’s look at how RAMs affect computer performance. How Does RAM Affect Computer Performance? RAMs are physical memories inside your computer where temporary computer data are processed and stored. Noticeable effects on your computer’s performance and responsiveness depend on the amount and speed of RAM you have in your computer system. When a CPU sends and fetches program instructions, the task is loaded onto the RAM since they perform way faster than hard drives. But how fast it can perform is limited only to the amount of memory it has. From a gaming perspective, temporary [game] files are constantly being stored and swapped. When the system runs out of RAM, it automatically uses the hard drive’s special file called swap file. But this still isn’t as fast as RAMs, so chances are games will crash or you’ll see a “Your computer is low on memory” notification. Adding the right amount of RAM will address this problem and only then will the game run smoothly without crashes. But to be clear: 4GB of RAM won’t be enough anymore for gaming this 2019. You’ll have to think about these to really come up with an estimate. 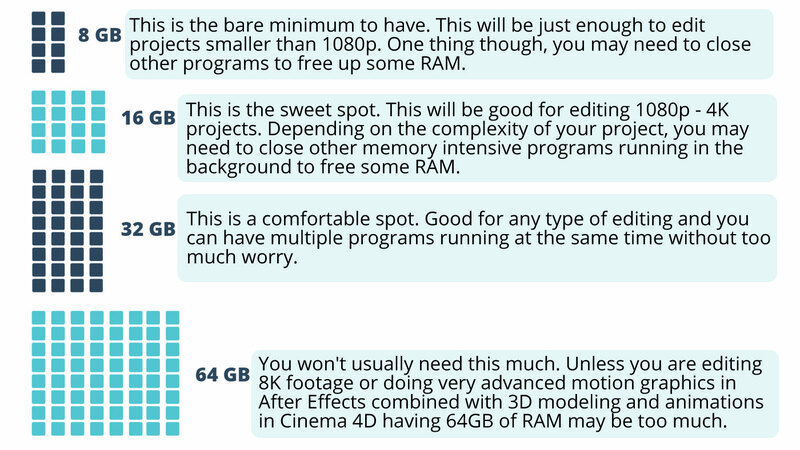 And to give you a quick answer: 8GB of RAM won’t be enough if you’re serious about image editing. Unlike gaming and image editing, having more RAM isn’t necessarily seen as an immediate need for an upgrade since the CPU and GPU do most of the heavy lifting when rendering videos. More RAM is only seen necessary if you’re using the highest resolution and bit-rate your camera has to offer. Working with high-quality footage can be taxing in the editing timeline and will need more RAM. We’ll cover this in detail in the Ideal Amount of RAM for Your Use section below. Looking at the images, it’s clear that most of them require 8GB of RAM as recommended but games like PLAYERUNKNOWN’S BATTLEGROUNDS (PUBG) and Deus Ex: Mankind Divided are starting to need 16GB of RAM as recommended. As a rule of thumb, the least amount of RAM you’d want to get this 2019 for the sole purpose of gaming is 8GB (DDR4). But there’s no harm if you could spend a little more to get 16GB instead for future-proofing. 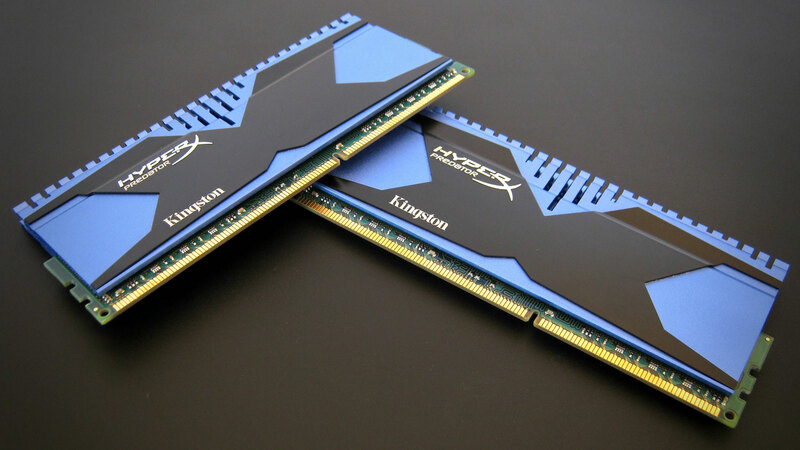 You can browse through this list to see the best DDR4 RAM for gaming. What photo editing software will I use? How many photos do I need open at once and at what resolution? At what bit depth do I edit photos in? What’s the average number of layers do my photos have? How much RAM does my computer need? On average, Photoshop on a Windows 10 OS will require at least 16GB of RAM. This should be enough to keep up with the demand when editing images in JPG format. But if you’re going to be working with high bit depths and 4K or 8K resolutions on top of other RAM intensive programs in the background, consider getting 32GB of RAM. Do you really need more than 8GB of RAM? The quick answer is: Yes! But ultimately, it depends on what you’re going to do with the machine. And as seen above, the right amount differs if you’re a gamer or a professional content creator.